The bottom leaves of my tomatoe plant is turning yellow and brown. I am not sure what to do about it. The top part is nice and green and it keeps flowering whats wrong with it. I also notice the other day that some roots are on the top of the dirt. It was not like that before. Let me know if I need to hurt some lovely birds. lol What can I do to help it I have 10 tomatoes on it so far. I will post a pic tomorrow. I sit in my vegetable garden so that I can see them grow. hmmmmm mine arent quite as far into life as yours I havent even got mine outside yet and here it is may 20 already! I had this on just one of my seedlings and i pinched them off. (carefully this time i bout wrecked another plant hurting hte stalk from pinching and tearing into stalk) Seems to be fine. . several days have passed and no sign of stress to the plant at all. Pinch off the brown or yellow leaves. 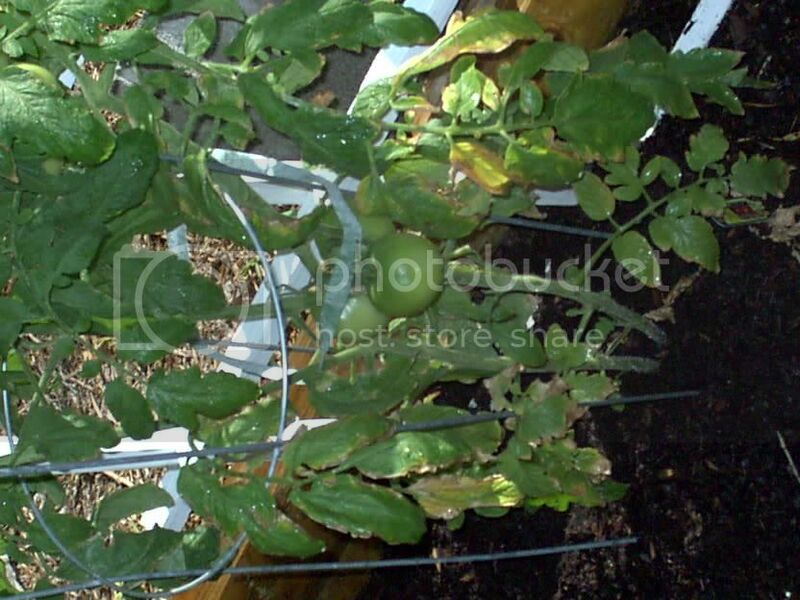 Tomatoes will send out roots at the base of the stem above the soil. You dont have to do anything about that but you can mound soil up to cover them. This is my tomatoe plant. I am not sure if you can see the bottom one that good, but you are welcome to go to my photobucket site. Nicky, looks like some sort of disease. I see your plants aren't mulched. Tomatoes are very susceptible to soilborne diseases. Some varieties more than others. 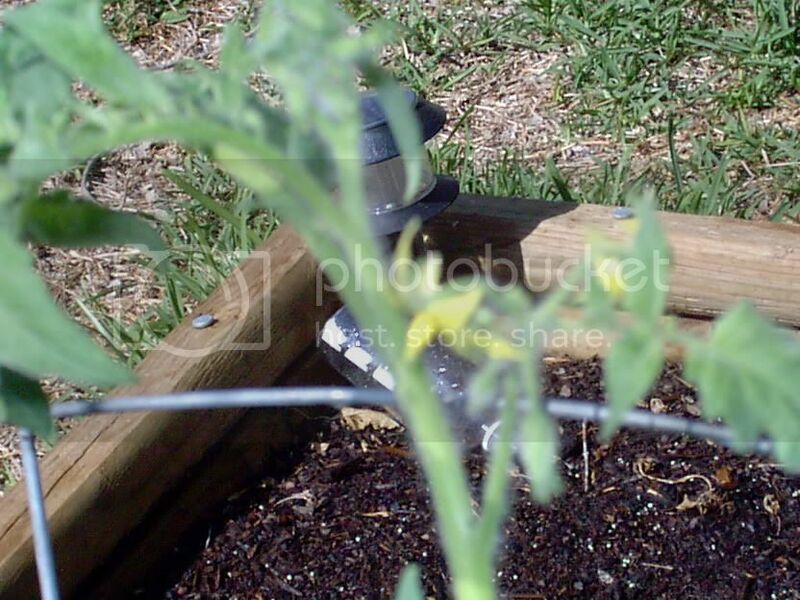 Best thing you could do to keep tomato diseases from affecting your plants is to mulch them with something. Straw, grass clippings, even newspaper. This keeps the soilborne pathogens from splashing up onto the plant's leaves(usually the bottom ones first) when it rains or from watering. 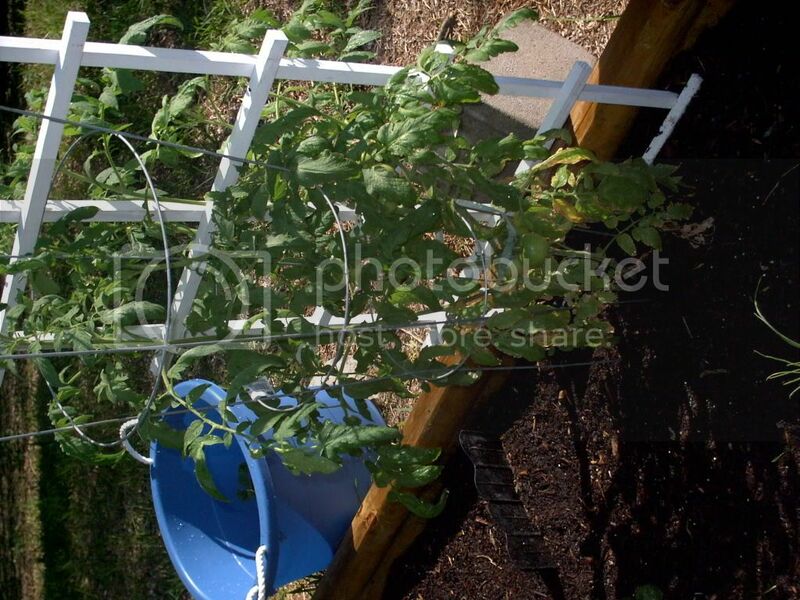 Also, watering with drip irrigation or soaker hoses helps too. For now, just remove the bad leaves and get rid of them. Don't leave them in your garden and don't compost them or you'll just be spreading the disease around. Then think about getting some mulch. Good luck.